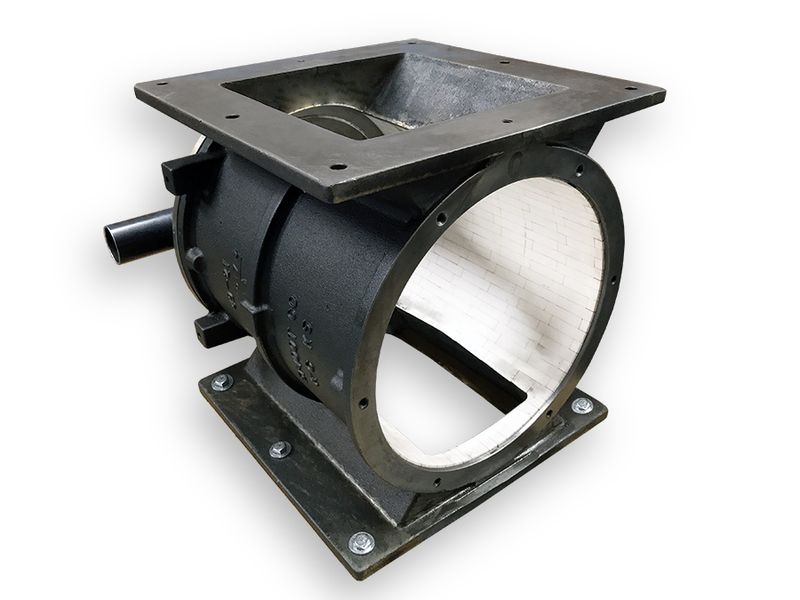 The Abrasive Resistant Ceramic Rotary Type-8 Airlock is our newest abrasion resistant rotary valve. It was developed to fill the gaps in sizes that were not available with our Type-6. 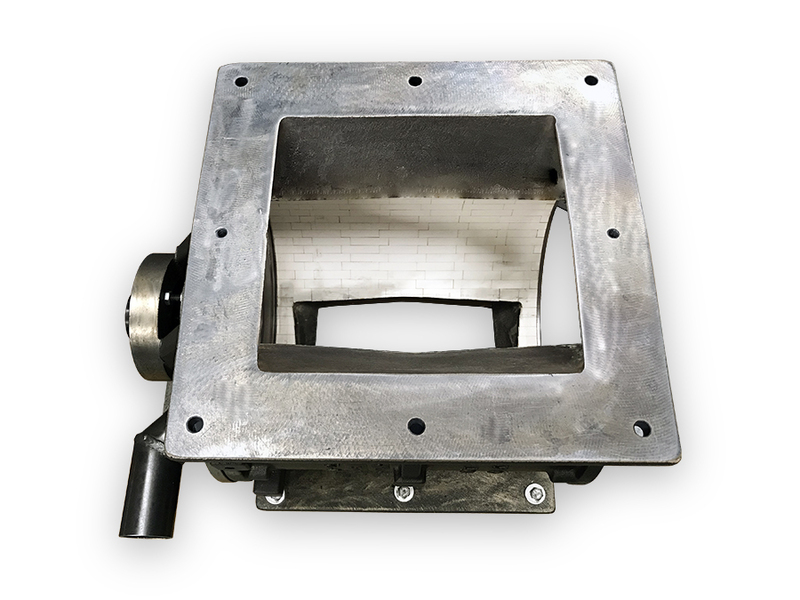 This is because the Type-6 is limited to what casting patterns we have for the NiHard casting but whereas the Type-8 can be made in any size valve that we make in carbon steel. Like our Type-6, the Type-8 is our “paramedic” valve coming to the rescue of pneumatic conveying systems that due to bad design, changes in material, or just bad luck, wear out regular valves. It is also used more and more as an “insurance” valve where it is being put into locations that are hard to get to, very expensive to get to, or applications where it is very expensive to have to shut the system down to replace a rotary valve. 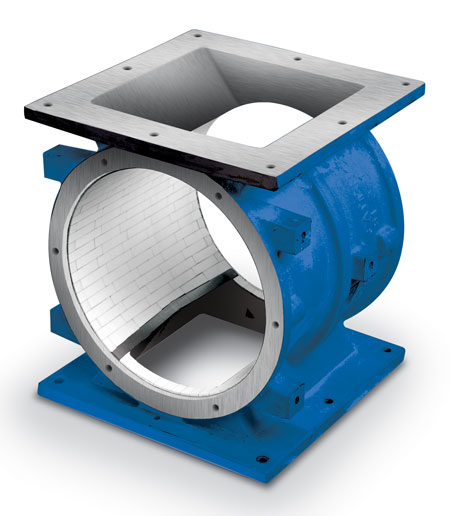 What makes the Type-8 rotary valve our super abrasion resistant valve is the closed end rotor that has a tungsten carbide inserts on the tips and shroud, a housing made from cast iron but with the entire bore covered in ceramic tiles with the leading edges having tungsten carbide inserts. 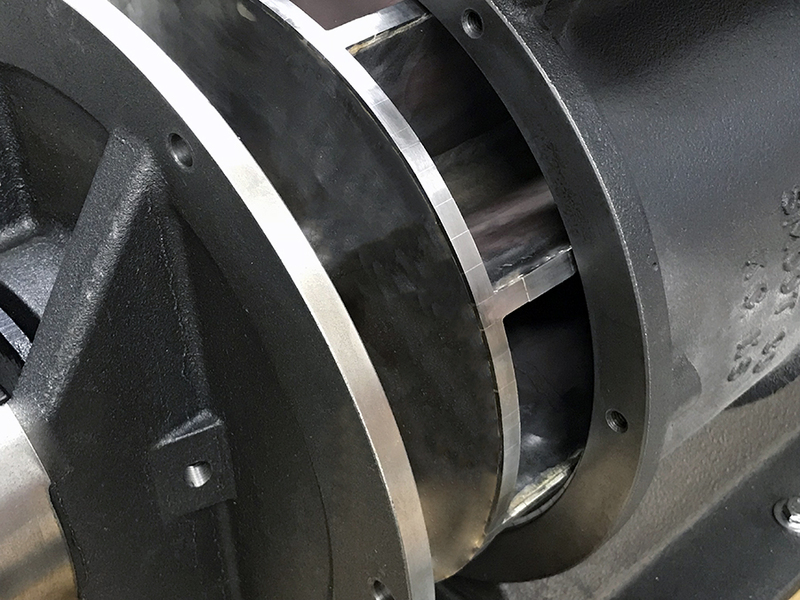 The Type-8 rotary valve really shines when coupled with our patented cavity air purge system on airlock applications. 100% manufactured and assembled in the USA. Compressed air purge system is standard.